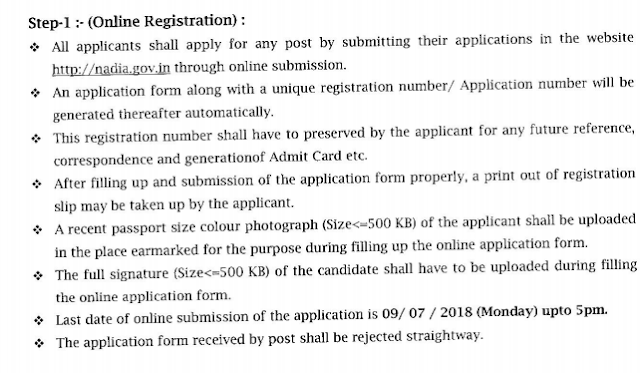 District Level Selection Committee (DLSC) Nadia has advertised for the recruitment of 50 Secretary jobs vacancies. 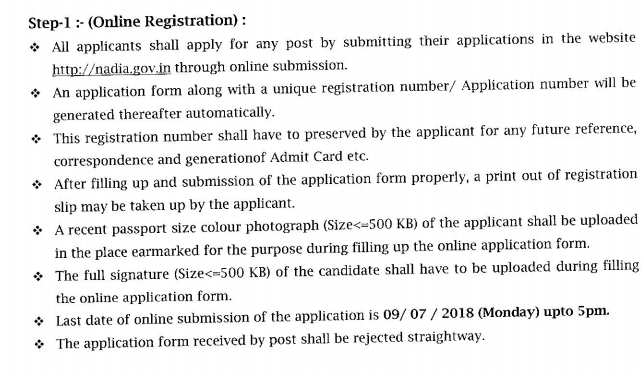 Interested and eligible job aspirants are requested to apply on or before 09th July 2018. Check out further more details below. About DLSC Nadia: The geographical boundary of Nadia district comprises Bangladesh in the East,Bardhaman and Hugli district on the West,Murshidabad district on the North and North West and North 24 Parganas towards South and South East. Situated on the main rail route connecting Howrah/Kolkata and New Jalpaiguri(NJP) including parts of North Eastern states, the Nadia district can easily be accessed by rail. The major railway stations are Nabadwip Dham,Ranaghat and others with regular trains to Kolkata/Howrah/NJP/Guwahati. The International Rail Link connecting India and Bangladesh passes through Nadia District with Gende as the last railway station at Indian Border. Bifurcated by National Highway-34 on the North and East, the district can also be accessed by road from other parts of the country.